Located in the heart of Santa Fe, the Museum presents and advances the legacy of Georgia O’Keeffe and American Modernism. 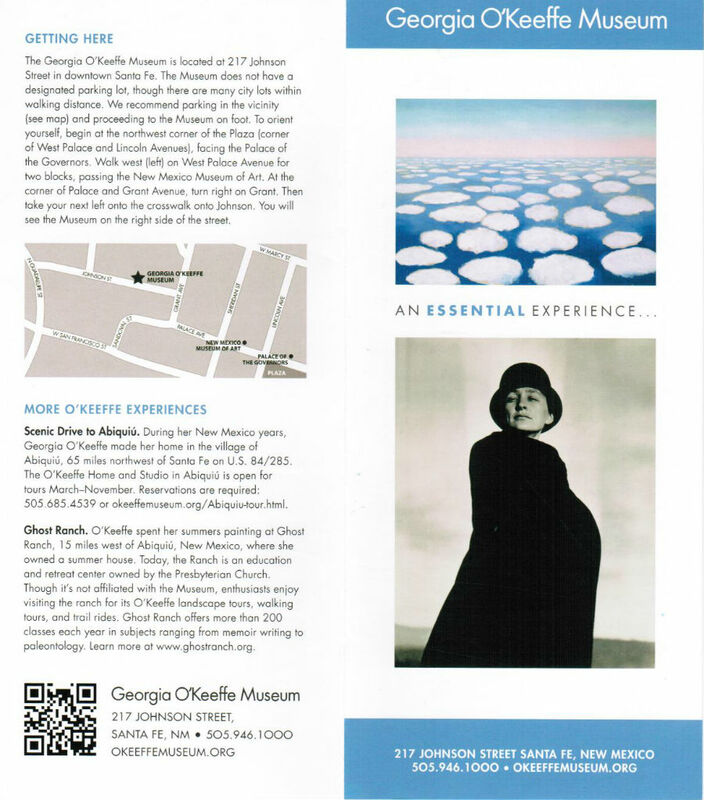 Throughout the year, visitors can see a variety of exhibitions featuring O’Keeffe, her contemporaries, and living artists of distinction. In addition, they can visit the Georgia O’Keeffe Home and Studio in Abiquiu with advance reservations, and enjoy a diverse range of learning opportunities throughout the year. Open 7 days a week, 10-5, until 7 on Fridays. With over 3,000 artworks, photographs, visitors can see a changing selection of these works.